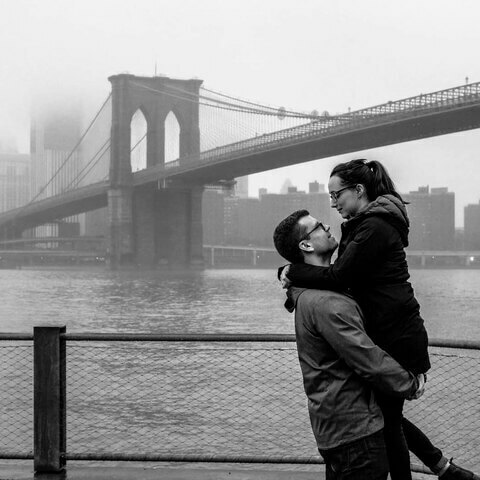 The most important part is over – you found someone you want to spend the rest of your life with! Now, for the engagement. 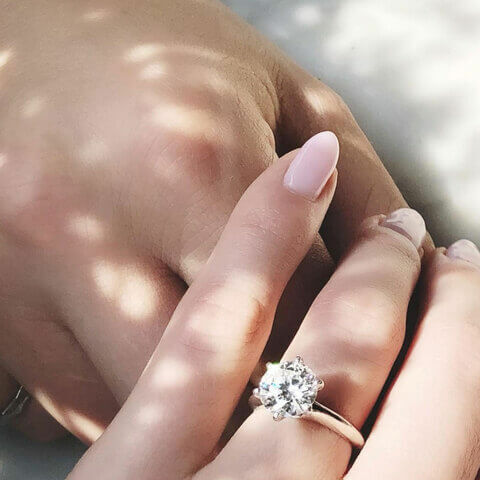 For those who want to keep the proposal a surprise, how to find out the ring size of your partner is a question we get all the time. Here are some tips, and a handy size chart, to help you along the way! Have you noticed there’s a ring she often wears? Better yet, on her ring finger? Take note. 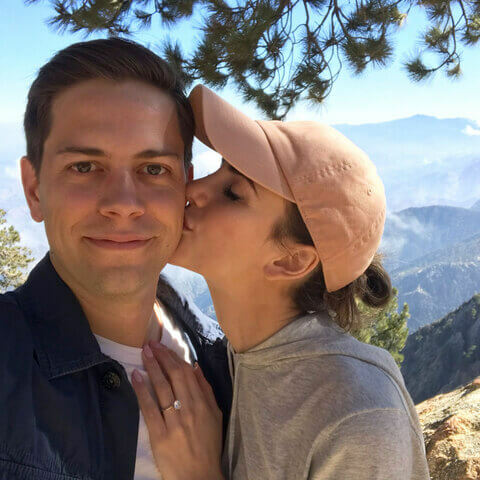 When she removes the ring, you have two options: borrow it for the day and run to a local jeweler for sizing (but be careful, if she sees her ring is missing, she may think it’s really gone!). The other option is to trace the ring carefully with a pen on a sheet of paper, making sure you trace both the inner and outer circle, You can then use a millimeter ruler to determine the inside diameter, then find out her correct size using the chart below. Do you have a little sister graduating from college? Mother’s Day fast approaching? 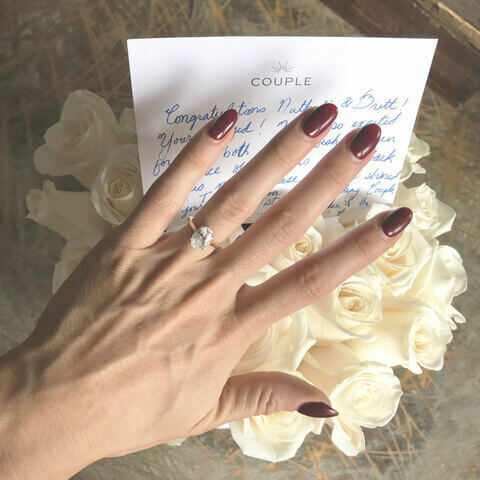 Enlist the help of your girlfriend (aka, your fiancée-to-be!) to select a piece of jewelry for another lucky lady in your life. 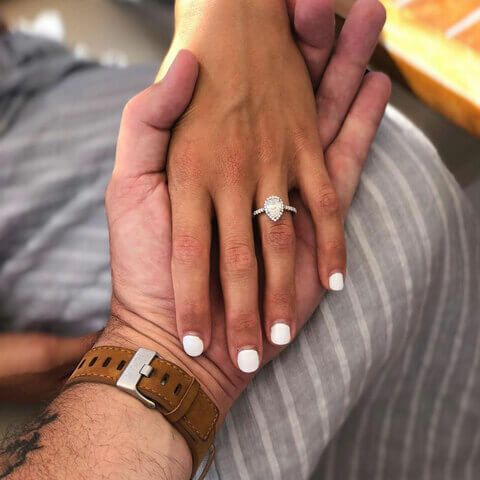 First, share your plan with the jeweler; when you're in-store, have your girlfriend try on necklaces, rings, bracelets, and earrings, making sure the jeweler notes the size that fits on her ring finger. You can even go one step further and actually buy a piece – this is all part of the plan. And now, for the oldest and best trick in the book. Devise a plan with the BFF – perhaps they go ring shopping for the friend, and both partake in the fun. For those double-daters out there – here's a twist, you can enlist the help of your buddy’s girlfriend. Maybe she’s the one with engagement on her radar, and she asks your partner to help her try on rings (all planned, of course). It goes something like this, “David dropped the hint about getting engaged, will you come ring exploring with me? !” They'll both try on rings (and get their sizes), then sip mimosas. Are you close with her mom or sister? If you’re ok with them being in on your plan, maybe just ask if they know her size. If they don't, perhaps there is a family ring that will soon be handed down to your partner, that they can resize now (this could be a real family ring or a costume ring you buy and craft this plan with her family). Her mom will then measure her finger in order to resize the heirloom piece, with absolutely no mention of you. 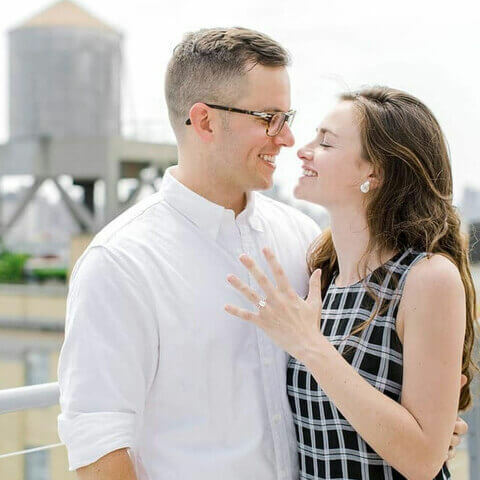 Is engagement a topic of conversation between the two of you? If so, she knows that it’s on the horizon. There’s no harm in asking, “Can you find out your ring size and let me know? I don’t want to make any mistakes.” Say it over dinner one night, it can add to the fun anticipation. Or suggest that you go ring browsing together (to get much more intel than just size!). There are so many surprises ahead, sometimes it’s best to just get this answer directly. It's best to measure one's finger at the end of the day inside in a warm room. Sometimes hands swell a bit at night and it's better to be slightly larger vs. too small. Cold temperatures and cold water can make hands shrink slightly. Keep all of this in mind when determining the correct ring size. The most accurate way to get her ring size is to have it measured by a local jeweler. The ideas we listed above are helpful but should be considered close approximations.